The experience of two senior officials is demonstrating again that part-time and shared positions are no career-limiting soft option or confined to junior roles. On the contrary, this sort of flexibility can be the best thing both for job sharers and their teams, and helps the Civil Service retain and develop talented individuals. 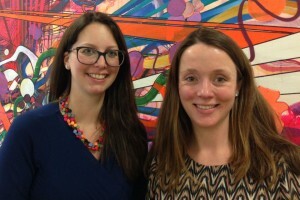 Sarah Rose and Jo Fiddian have just taken up a shared role as interim Deputy Directors on the Reform Programme for HM Courts & Tribunals Service (HMCTS). Previously, they job-shared as Deputy Directors in the Crime and Enforcement Directorate, and before that shared the role of Head of the Civil Jurisdictional Team, all positions based at HMCTS’s London headquarters. Jo recalls: “I came back to work after having my son and was offered the opportunity to lead the Civil Jurisdictional Team on a part-time basis. I had an enjoyable and busy year, working three days a week, and while the balance with my childcare responsibilities was excellent, it became clear that the role was really a full-time one. When my director, Kevin Sadler, informed me that Sarah was returning from maternity leave and asked if I would be interested in job-sharing, I wasn’t quite sure how it would work as I hadn’t done something like that before. Sarah adds: “When I returned from maternity leave after my first child, I was offered an exciting role as Head of the Social Security and Child Support Tribunal. It was a great job with a high level of responsibility, which I didn’t want to turn down, but it did mean working full-time. “After my second child, it was important to me to have a different balance between work and home, so I could be more involved in my son's school life and spend more time with both children. I was excited and relieved when my director told me there was an opportunity to jobshare as head of the Civil Jurisdictional team – the chance to take on a challenging role, but on a part-time basis, sounded like the perfect compromise. As Sarah and Jo explain: “Just as we did before, we will share the new job in its entirety. We don’t split projects, work strands or teams between us – that would be more like two part-timers working alongside each other, rather than a job share, and our teams and stakeholders wouldn’t get the continuity they need or expect. “We both work three days per week. Overlapping on a Wednesday means we can hand over work, make decisions together where necessary and discuss issues in person. We have a shared inbox and a series of folders to manage the work. At the end of the week, Sarah writes a handover email for Jo to pick up on Monday. We share a PA, who helps to manage our inbox and calendar, so we can focus our attention where it is most needed. “There are challenges to sharing a job, but none are insurmountable, and they don’t outweigh the benefits. For example, meetings are often scheduled on Wednesdays so that we can both attend. This can be important, but the risk is that we don’t have sufficient time to sit down together. So, we are strict about which meetings we both need to go to, and make sure we have a good hour together without distraction. “Another issue is some meetings taking place on particular days of the week, meaning one of us attends more than the other. Although this doesn’t have a significant impact in practical terms, some of our stakeholders probably wonder whether the other one of us really exists! “It’s important to ensure that the people we manage feel supported in their performance and development. As it’s not possible to squeeze all our one-to-ones in on a Wednesday, we alternate these meetings between us and try to foster an environment where colleagues feel able to raise issues with one or both of us, without having to repeat themselves unnecessarily. “The benefits of job-sharing are extensive. Many roles with a high level of responsibility are not suitable for part-time working, but our arrangement means we can take on those challenges and still spend valuable time with our young children. “Working part-time in any role, it can take a while to catch up on what has been happening while you’ve been away. But in a job share, we can arrive at the office and get straight into the work, so we feel more effective and efficient. “We find it helpful to bounce ideas off each other and, when it comes to difficult decisions, there’s comfort in knowing someone else has come to the same conclusion. Of course, we don’t always agree – but we have an understanding that we stick by decisions made when the other isn’t there. Job sharing is increasingly popular because of the benefits it offers people with caring responsibilities who want to progress in their careers. The Civil Service Job Sharing network has resources to help anyone already in a job share or interested in one. If you have any questions, please contact Jo and Sarah on: FiddianRose@hmcts.gsi.gov.uk.